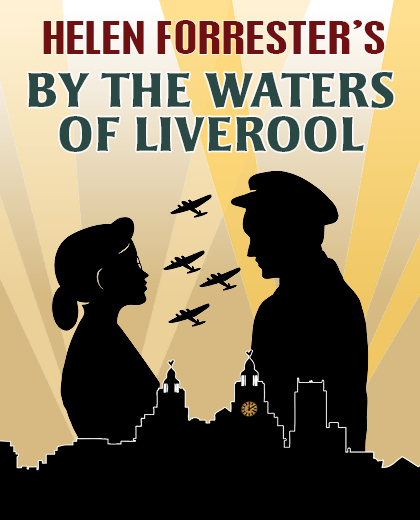 Adapted from the million-selling book, By The Waters Of Liverpool is a period drama set in the 1930s. The story opens in 1935. Helen Forrester is sixteen years old and fighting a bitter battle with her parents for the right to educate herself and go out to work. During the Great Depression, Helen’s father lost his fortune when the stock market crashed and the family were suddenly thrown into poverty. Leaving behind the nannies, servants and comfortable middle-class life in the South West of England, the Forrester’s chose Liverpool as the place to start over. They were in for a terrible shock. Taken out of school to care for her younger brothers and sisters while her parents struggled to re-build their shattered lives, Helen is treated as an unpaid slave and desperate to escape. By 1939, now aged twenty and with Britain on the brink of war, she has never been kissed by a man. But things start looking up for Helen when she meets a tall strong seaman and falls in love. “By The Waters Of Liverpool also features flashbacks to Helen’s first two volumes of autobiography; Twopence To Cross The Mersey and Liverpool Miss, so newcomers to Helen’s story will get a complete picture of her life”. Rob Fennah ~ Playwright and friend of Helen Forrester. Fully authorised by the Helen Forrester estate. For news, events and special offers!